You are here: Home / Real Talk / Why is Wedding Photography Expensive? These are some of the questions and comments you might hear from people in shock after receiving a quote from a wedding photographer. With so many different packages on offer, it’s hard to work out what the average wedding photography prices are or should be. It can get a bit overwhelming. But, contrary to popular belief, the fact is that most wedding photographers are not actually as expensive as they seem. If anything, I’d say they are undercharging considering that they offer a luxury service and an end product that has a high intrinsic value. When a photographer quotes £2000 for an 8-hour wedding shoot, the immediate assumption is that he/she is earning £250 per hour. But if you take a closer look you will realise that wedding photographers make nowhere near that. “You are kidding me right?” I hear you say. What corners are they cutting? Some amateur photographers enter the market and start trading. But they do so without having the knowledge required to be a wedding photographer. Most professional wedding photographers are running a business. And, as with any type of business, there are many costs involved in running it. But, due to their lack of experience and knowledge of the industry, new photographers do not realise how much they need to invest to start a successful photography business. The mindset is that as long as they cover their material costs they will be fine. As a result, their prices are a lot less than a professional who has done it as a full-time job for years. By not calculating the proper costs, new photographers are charging way lower than the average market price. This is damaging to themselves, other photographers and the wedding industry in general. Some photographers who have been around for 15-20 years but still charge very little. Sometimes less than the newcomers. This is because their quality of photos and service are so poor that nobody sees value in their work. So they no choice but to charge very little to maintain a stream of income. I’ve come across some established photographers who exploit the inexperienced. I was nearly a victim myself when I started out. But luckily I realised what was happening and just walked away. 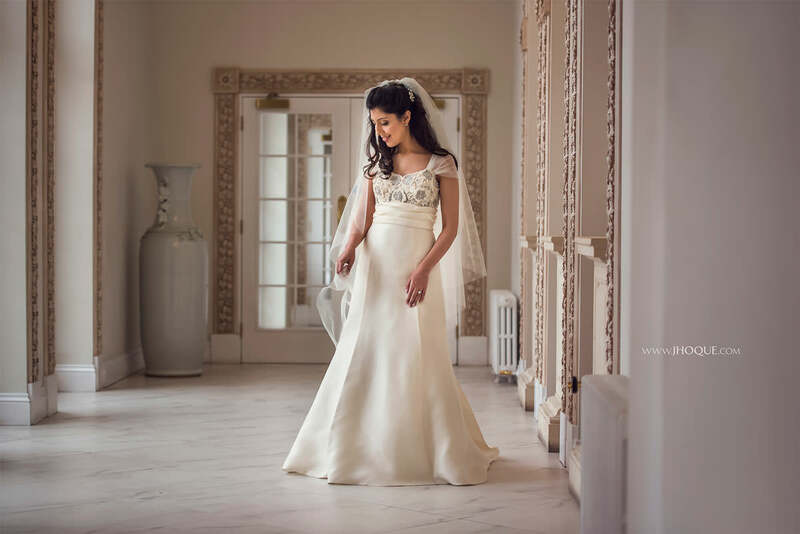 How it works is that the experienced photographer will quote the client £600-£1000. But they send the inexperienced photographer by paying them a very small fee. Something around £100-£200, for a full days shooting and processing of images. They then pocket the difference. That’s £400-£900 for doing 1-2 hours of admin work. A lot of new photographers charge low rates because it’s the only way for them to build a portfolio. I had to do that myself with my first two wedding bookings. Other than the physical products offered, photography is not a commodity business. It’s a mixture of many. Photography is an art, a skill and a service. A photographer has to be a good sales person, a good marketer and, at the very least, have a good business sense. For a wedding photographer, it’s not a case of turning up and taking a few shots and then handing you a disk of images. There is a lot more involved in creating the perfect memory of your wedding. Let’s take a look at some of the main costs a wedding photographer must consider when working out their prices. The most important (and obvious) part is the labour. An average wedding can last from anything between 8-10 hours. Asian weddings range from 10-18 hours! Your photographer will most likely arrive long before the main event. They’ll capture the small details. Things like the bride and groom getting ready, decorations, venue layout etc. And to ensure they capture everything, they will have taken between 800 – 1200 photos by the end of the day. Sometimes more. Also, if your photographer comes with an assistant, then the cost goes up, as they have to pay them as well. Most people are unaware that a photographer’s job does not end when the wedding does. It’s not uncommon for people to think that it’s a simple case of downloading the images and putting them on a disk. As you can see, it’s nowhere near the £250 an hour that is assumed. The hourly rate is in fact 89% less! Sometimes it’s impossible for one person to process so many photos, especially if the clients asks for a huge amount of photos to be delivered within a short time frame. Take Asian wedding photography, for example, the celebrations of an Indian wedding can go on for 6-7 days. Imagine the number of images accumulated in that time. In this instance, it may be necessary for a photographer to outsource some of the processing. Professional photo retouchers can cost hundreds of pounds per hour! The equipment your photographer brings to the shoot is no ordinary camera equipment. Professional digital cameras and lenses can cost anything from £1200 – £6000. And that’s just for the primary camera body and lens! A good photographer will always bring a backup camera (or cameras) as well as various types of lenses in case the primary fails. They also need batteries, memory cards, filters, flashes and other lighting equipment. Then there’s the cost of computers and professional photo editing software like Photoshop. At the time of writing this post, the latest versions of Photoshop products range from £557 – £2264! There’s also the cost of upgrading every time a newer version is available. Each of these insurance types can add up to several hundred pounds a year. Getting a website designed could cost anything from £1200 – £4000+. And let’s not forget the cost of web hosting, maintenance, updates and technical support. Then there’s the recurring cost of advertising. Although word of mouth is a great form of advertising, it does not provide enough exposure. To maintain a continuous flow of clients, a photographer must spend thousands of pounds per year on advertising. And we all know how much they cost! Depending on quality and size, a storybook album could cost anything from £350 – £2000! Some photographers offer online galleries. Most will offer prints and wall products like a canvas. All these products add to the photographers’ costs. Unlike a normal 9-5 job, a wedding photographer’s working hours and income are not regular. Most weddings happen on a Saturday or Sunday and the vast majority are during the summer. How many weekends are there in a year let alone in summer? Unless the photographer is in great demand, it is unlikely they will have a wedding booked every weekend of the season. Even if they did, I doubt that it’s enough to survive for the entire year, especially if they live in a city like London. You will find that a lot of freelance photographers take on other disciplines of photography. Corporate work, portraits etc. You’ll even see some top wedding photographers doing this. But these jobs are not regular or guaranteed. So don’t be surprised if your photographer says they have a day job on top of being a wedding photographer. Do they have Public Liability & Professional Indemnity Insurance? If not, who will cover for damages if the photographer accidentally injures someone? Or how will they reimburse you if their equipment fails and they lose all the images? Are they authorised to provide services to the public? I wrote this article in the hope that it will give you a better understanding of why wedding photographers charge what they do. I hope it helps you make an informed decision about your choice of photographer. To aspiring photographers, I hope this article helps you understand that there is a lot involved in wedding photography. And it’s not easy. This is a somewhat contentious topic, so I’d love to hear your opinions. Do you think wedding photographers charge too much or not enough? Share your thoughts in the comments. You’ve really exaggerated how long photographers spend on their work, to try and get down to £27 pound per hour! I’m friends with one of the most popular wedding photographers, in the country, and he spends maybe 4-5 hours on post production. And it’s not as if you spend 8 hours at the weddings either – you will if people buy your most expensive packages, but most wedding photographers usually only agree to stay at a wedding from the pre-ceremony until the first dance/cake cutting. 4-5hours? Articles like this, exist, because the entire industry is unregulated, more and more people are getting sick of it, and sooner or later it’s going to collapse. With technology going the way it’s going, much cheaper alternatives, for getting wedding photos will come along. There are few ways, to make large amounts of money, without any real talent, or work ethic than being a wedding photographer. It’s the easiest job in the world. Send the couple the best 100…..
Great article. Still highly relevant in essence despite half a decade has passed. 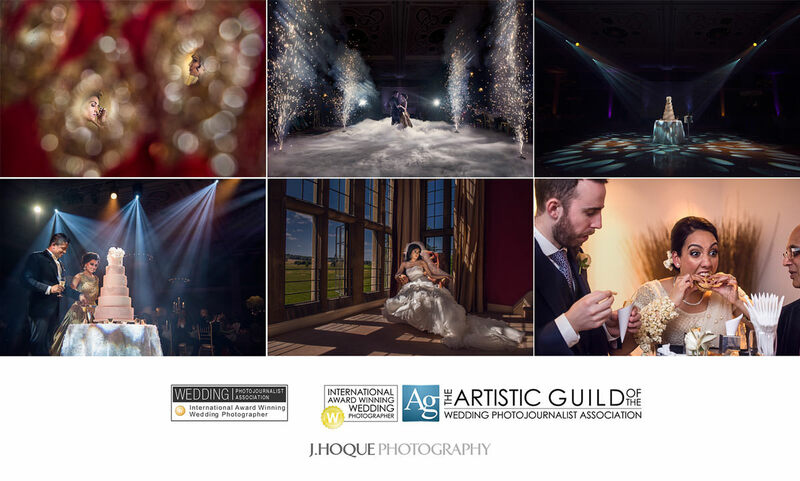 I am a Wedding Photographer based in East Grinstead, Sussex. Oh sorry, just realised that the article had been updated 2017. So even more relevant then 😊. I shoot Medium Format film as well so imagine the cost involved in that, on top of everything else. I have a blog centered on the same ideas you discuss and would really like to have yoou share some stories/information. Weddings are (usually) a one-time event, and (usually) years and years of anticipation, dreaming, planning, and preparation go into them. This means the photographer takes more of a risk covering a wedding than most other events. If lightning were to strike and fry all his memory cards (not likely…but work with me here), not only would he not have a chance for a do-over, he would potentially have ruined one of the most important events in the clients’ lives, and the perceived damages would be much higher. So for the same amount of hours and deliverables, a wedding photographer is taking on more risk than most other event/portrait photographers. That risk-taking should factor in the price somewhat. You forgot some important hours to account for as labour – the entire sales process: initial phone call (.3 hrs), the meeting (1 hr), often there’s travel to the meeting (.6 hrs), follow up (.3 hrs), if you include an engagement shoot as incentive (1hr photography, .6 hrs travel, 2 to 3 hrs post production, .6 hrs delivery), final call before the wedding (.3 to .6 hrs). So probably a minimum of 1.3 hrs to 6.4 hours before the wedding even starts and that also doesn’t count the number hours spent on calls and meetings which don’t result in booking the wedding. a benchmark article….simply superb.. we just have to show this article to idiotic customers who argue about price…. Thilak, I wouldn’t go so far as to call customers idiotic. They are not in the industry in the way that we are, so they don’t know what goes on. It’s the same way I have no idea what is involved behind the scenes of a solicitor or accountants job. You have to educate them the best you can. And if they still don’t appreciate it, then let them go.. they are not the right clients for you. Sadly there will always be people who believe we just press a button and out pop perfect pictures every time, and that the value of a print is the cost of the paper and ink. If so. ask them to explain why Edvard Munch’s artwork “The Scream” was sold for millions and millions, if it is only canvass and paint, or could artistic merit have a tiny bit to do with it? That was great Jay, I know what your talking about being a photographer myself. Loving your work! Lou, I don’t use a captcha plugin for the comments so wouldn’t be able to advise unfortunately. Try the anti spam plugin Akismet before using a CAPTCHA. Visually impaired people will not be able to comment, nor will people with images turned off. And all of your commenters will be inconvenienced. In your wordpress settings, just go to ‘discussion’ and check the box that says “An administrator must always approve the comment” That way you get to see the comment and decide whether it goes live or not. On the whole, I agree with the points made here, but by pointing out how expensive lawyers are, I feel you may have shot yourself in the foot somewhat (have you seen the fees for law schools – and that’s before the cost of the daft clothes they’re compelled to wear, the years spent ‘devilling’ for not an awful lot of money and the years preceding that at a good uni where part time jobs are discouraged). My degree (Photography BA Hons) was an absolute walk in the park in comparison – perhaps 16 contact hours a week and the homework was usually a lot of fun! Having said all that, perhaps the question should have been, “Why are wedding photographers so cheap”! Thanks again for all the comments everyone.. glad most of you agree with whats been written. I just want to take the opportunity to respond to some individual comments. So sorry that it’s (extremely) late. Just been mega busy lately. On the contrary Jamie, I don’t think I’ve shot myself in the foot by mentioning lawyers. I was merely stating a fact that there are certain necessary expenses when running a business, whether we want to or not. It actually strengthens my point about how people under value a photographers skill and knowledge. Most people (myself included) justify a lawyers fee because, as you have mentioned, they have an idea of what was invested to become one, but mainly because of the fact that without the lawyers expertise and knowledge, people would be stuck when it comes to legal matters. So there is a need for that lawyers services hence the justification of fees. I’m not comparing the value of lawyer to a photographer, all I’m trying to point out is that the principle is the same, a lot of investment has gone into becoming one. And without a photographers vision and skill, people would have to take shots of themselves or make do with snapshots by non experts. Therefore, by default, the professional photographer IS valuable to them. I agree with you. And I never categorically said that cheap photographers are not well trained. There are number of reasons why some people are cheap and I’ve mentioned just a few of those reasons. Excellent stuff, very well written. Really enjoyed reading your article Jay. I spent a lot of years as an amateur before realising I may have the talent to make photography my profession. My first experience as a wedding photographer was simply doing a favour for a good friend who could not afford anything more than a very low key ceremony. I learned so much on that first shoot, not only how much work goes into wedding photography but how much satisfaction I got out of it. My next step was to do some second shooting but I quickly found myself being recommended as a primary. No matter what line of work we’re in we never stop learning but to me that’s half the fun of it. Your article has been very inspiring and the images you’ve chosen to display are truly beautiful. Great article Jay, I think i’m gonna forward this link to every complaining enquirer from now on!! Quite possibly the most honest and true article I have ever read about our industry. I think it’s all depends up on the experience and goodwill of photographers for how much they charge. But is doesn’t mean that cheap photographers are not well trained. There is not so much difference between their photography. Some great points and a good debate. and very well written! However, you said you started shooting only weddings within the last year. So how does someone who is new to wedding photography and wanting to enter this field get experience without charging lower fees? how did you break into this already competitive industry? what advice do you have to newcomers? Well said! This is a great article to educate people on what we do and what we charge. Thank you all for your comments. I’m glad everyone agrees with it all, because I wrote this last year, long before I actually started doing weddings myself. Now I’ve learnt a lot more about wedding photography, Asian wedding photography in particular, and will be updating this post. Its just amazing how many people, including some photographers, dismiss or ignore the real value of photography. Jay. This was a fascinating read. I’ve just jumped through 3 websites and stopped here when I started to read this. I can’t believe you wrote this back in June last year, and i’m only just seeing it now. I definitely agree with everything you’ve written! I’m not sure how many soon-to-be bride or grooms will ever get to read this, but as already mentioned by others, it would be a dream to give every client a chance to understand the inner workings of wedding photography as they walk through the door. i think i might just print this out and hand it to every prospective client! make some sort of a check sheet for them! really well said!!!! Hi Jay, just found you’re website when I was looking for smoke photography for food shots. I have to say, that this article is so excellent, I had always been trying to explain to people the same reasons!!! Well only those who value the memories would agree the cost! Excellent article (all very true – and one of the best of the is type that I have read). Well done! I was in the middle of writing another tutorial, but felt I had to stop and post this after overhearing some colleagues at work arguing about the “extortionate” fees wedding photographers charge. It frustrates me that a photographer’s work is so overlooked.